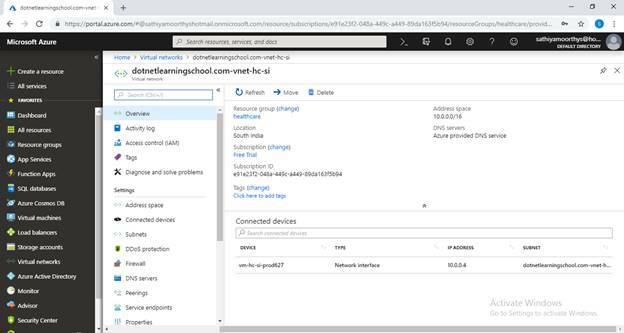 Virtual network peering enables you to seamlessly connect two Azure virtual networks. Once peered, the virtual networks appear as one, for connectivity purposes. The traffic between virtual machines in the peered virtual networks is routed through the Microsoft backbone infrastructure, much like traffic is routed between virtual machines in the same virtual network, through private IP addresses only. 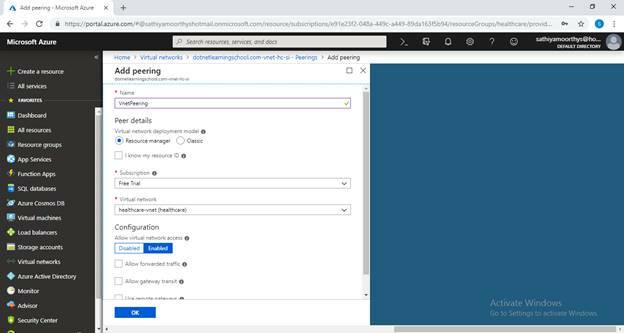 I have posted my previous article to “Create a virtual network & virtual machine by using the Azure portal” please refer to this link. Continuing that in this article, we are going to learn about vnet peering across Azure regions. Login into Microsoft Azure ( https://portal.azure.com) portal with your credentials. Click on the Virtual machines button on the left side blade. 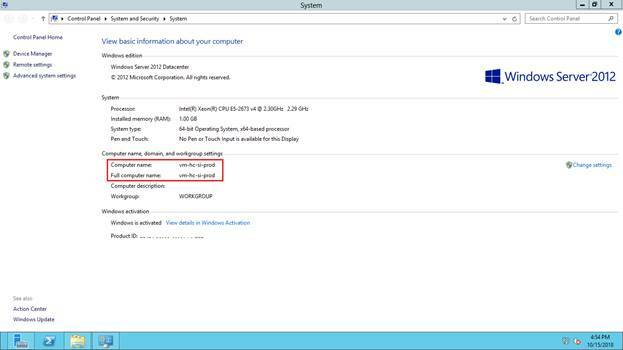 To get to know more details of the virtual machine then click on the VM which is available in the Virtual machines page. Every VM in Azure internally will get connected by private IP’s only. If you want to allow people to connect the VM through RDP, make sure while creating VM you have selected “Allow selected ports” option in public inbound section. To verify the RDP click on the Connect button, then in the right side panel click on the Download RDP File button and the RDP file will be downloaded. If you are a windows user then click on the RDP, enter the server IP address with VM username and password. Repeat the steps Step: 15 - Step: 24 which is mentioned in my previous article to create another new the VM. Click on the Virtual networks button to open virtual network setup. Click on the Peerings button and then click on the Add button to create new peering. Enter the name, select virtual network and click on the OK button. Open the VM which has public IP enabled and then enter “cmd” in the run, hit enter. 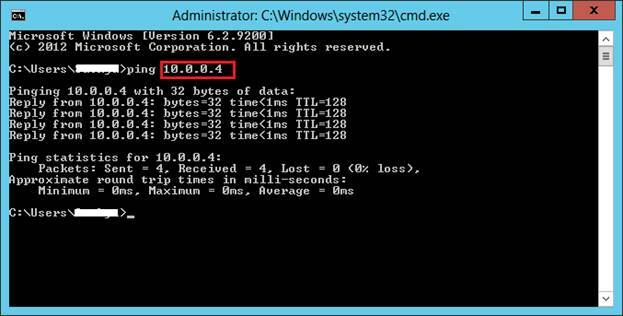 Enter the IP private IP address of another VM then you have enabled ping status.